Gardena, CA - Heartland USA® introduces two New Conversion Kits that convert the Harley-Davidson Dyna Models to a stylish modern look. The 200 D allows you to run a 200mm tire and the 240 D allows you to run a 240mm tire. 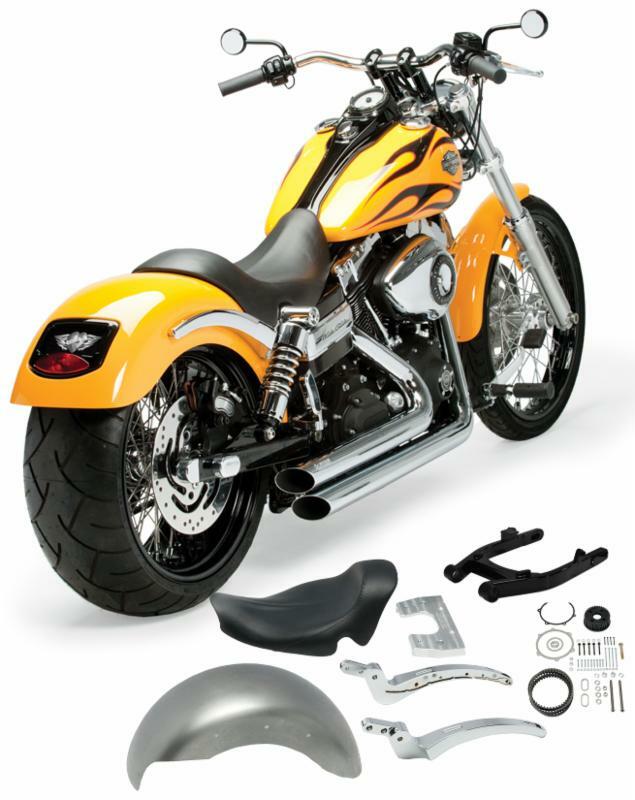 Both utilize Heartland's patented Billet Aluminum Struts, Steel Fender and Leather Seat. These Conversions fit Dyna models 2006 to Present. 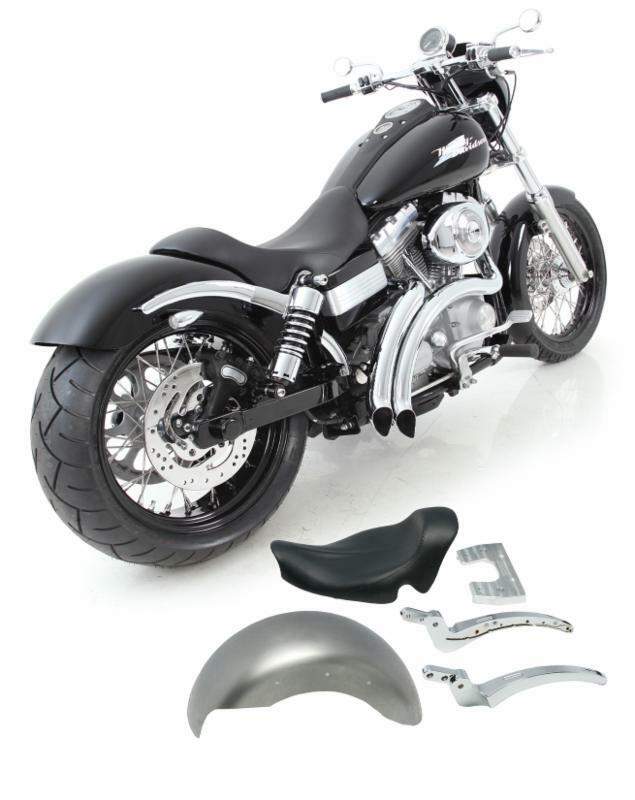 Note: Rear Steel Fender Horns must to Cut off the frame to install the Heartland USA Rear Fender Conversion. *Both Dyna conversion kits have the option of having a quick release Second Seat and the option of attaching travel side bags to the Second Seat, giving you the Bagger Option...Your Bike 3 Ways! The Ride, Rack and Rest is a quick release option that is compatible with all Heartland USA® conversions. It performs three functions, Ride - Passenger seat, Rack - Luggage Rack and Rest - Rider's backrest. A must have for any rider!